On the first day of Let’s Talk Coffee® Mexico, Daniele Giovannucci of COSA delivered a presentation to the assembled crowd of coffee producers, roasters, financiers, media, and NGOs titled “The Coffee Industry at a Crossroads.” In it, he detailed the challenges from climate change, low prices, and the departure of young farmers facing coffee, and presented the power of communication throughout the supply chain as a tool to solve these challenges. Daniele’s words rang true at Let’s Talk Coffee®, the annual global supply chain gathering that thrives on collaboration, gathering all stakeholders from the specialty-coffee supply chain to forge inclusive business relationships, learn about pressing issues from top speakers, and become stronger as an industry. 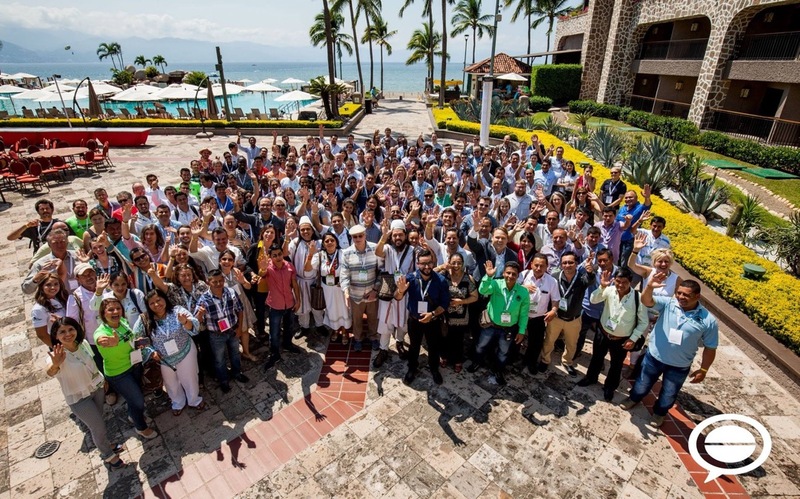 Let’s Talk Coffee® Mexico, which took place October 13-16 in Puerto Vallarta, brought together 250 attendees from 20 countries, and it was a group deeply invested in the collaborative spirit of the event. Roasters and producers paired up to form teams for the Triangulation Cupping Competition, overcoming language barriers and other obstacles to put their tasting prowess to the test. The winning pair was Team Chocolate,—featuring Equator Coffees & Teas associate coffee buyer Nate Breckenridge and Hector Hernandez, a cupper at Mexican cooperative Huatusco. 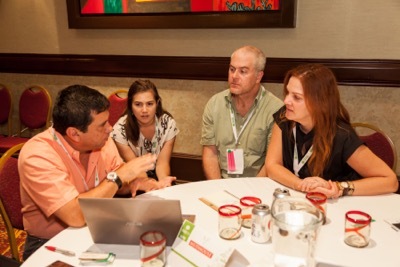 At the Sustainable Coffee Challenge workshop, the industry collaboration unveiled its new framework to gauge producer feedback, then led producers in an interactive session that saw them walking to various stations to scrawl their opinions on sheets of butcher paper. It was a great moment not just for the collaborative activity but because it resulted in producers expressing their opinions to a receptive audience. Hernando Tapasco, expert agronomist for the NGO SOCODEVI, delivered a presentation on the event’s second day offering specific recipes and strategies producers can use to improve the quality of their coffee through processing methods. In light of climate change and other challenges, many producers are seeing their coffee quality ebb despite their best efforts. Hernando’s steps for remedying the problem gave producers concrete takeaways they can test at their farms around the world. 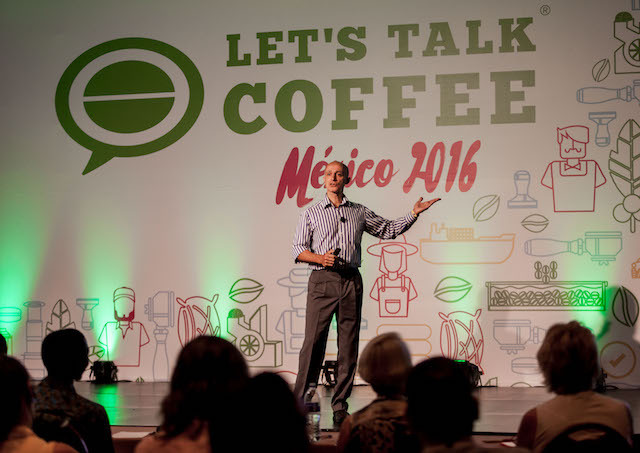 Let’s Talk Coffee® Mexico provided a unique forum for the industry to explore inclusive business opportunities, learn about cutting-edge industry insights from expert speakers, and connect as a supply chain. I’ll leave you with some of the amazing stats from what was truly an unforgettable event. 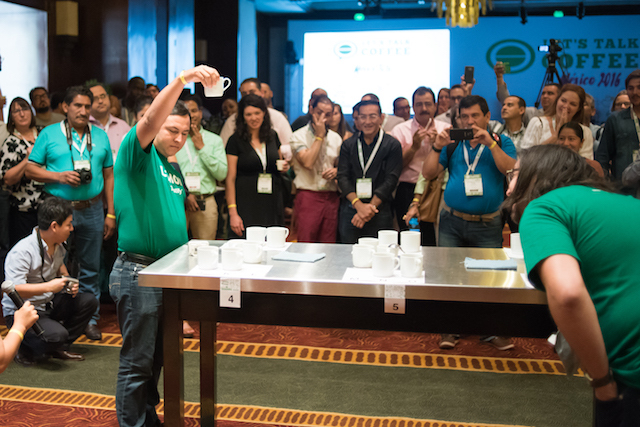 A total of 39 coffees cupped or tasted over three days—a total of 1,484 cups!